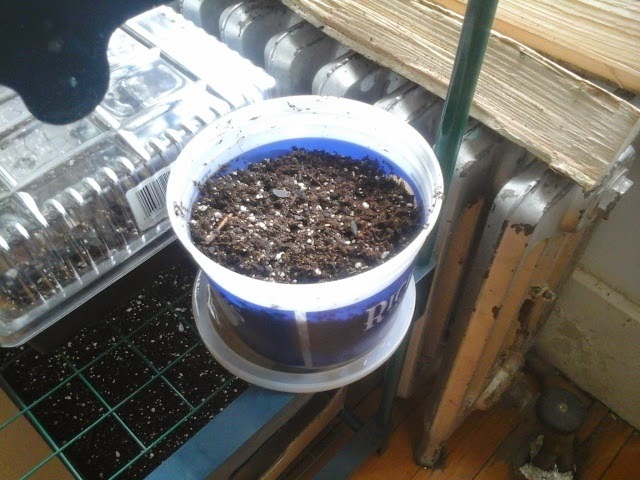 Its probably too early, given our high snow level this winter, but I started a few onion seeds today. Maybe it is a little bit of cabin fever, or just impatience. 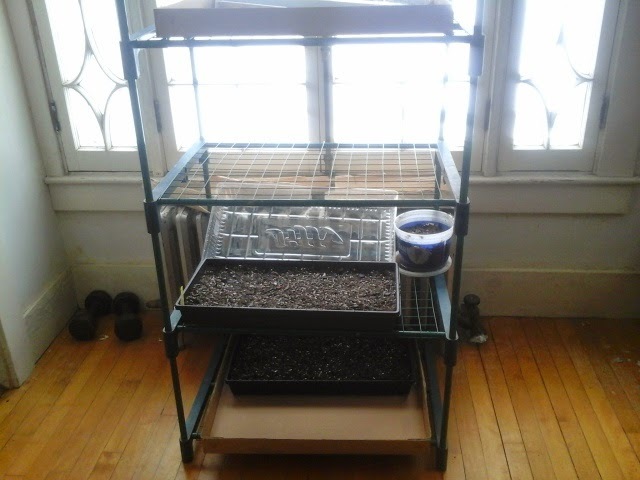 It still felt good to put a few seeds in some dirt. I only planted one flat, and planted them quite close together. They have to be transplanted into the garden, so I dont mind crowding them now. Remember that I determined I need over 400 onions if I wish to reach my goal of onion independence. These are a heritage spanish onion, decent for storage. 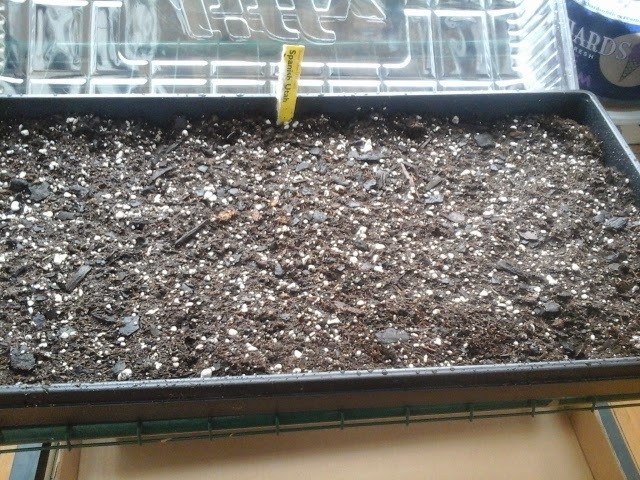 I will be planting several varieties. Onions are classified as long day, short day, or neutral. What that means is that certain varìeties need longer hours of sunlight in order to form a bulb. the varieties that need the shortest amount of sunlight (11-13 hours) are termed short day onions. These like a warmer climate and are suitable for zones 7 or warmer, amd typically are good choices for the south, southwest, and southeast areas of the country where summer day length doesnt differ too much from winter day length. Good short day onions might be yellow burmudas, or California red. Long day onions like 14 or more hours of daylight, do well in zones 6 and colder, and are suited for northern areas where summer daý length is much longer. A good long day onion is Sweet Spanish, and is what I planted. Neutral onions are in the middle, and adaptable to many conditions. Early yellow globe is an easy to find variety in garden shops. 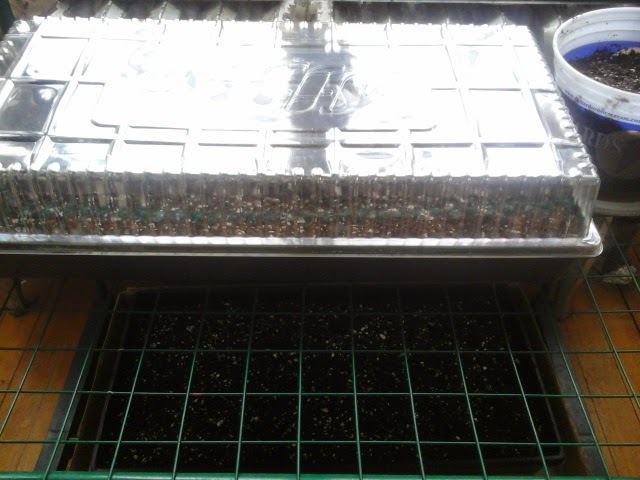 The clear plastic dome holds humidity while seeds germinate. I also planted a few basil plants. Notice the fancy container. Anything can work. These basil plants will just be a small windowsill garden. Herbs are so easy to grow this way if you just need a few sprigs for cooking. 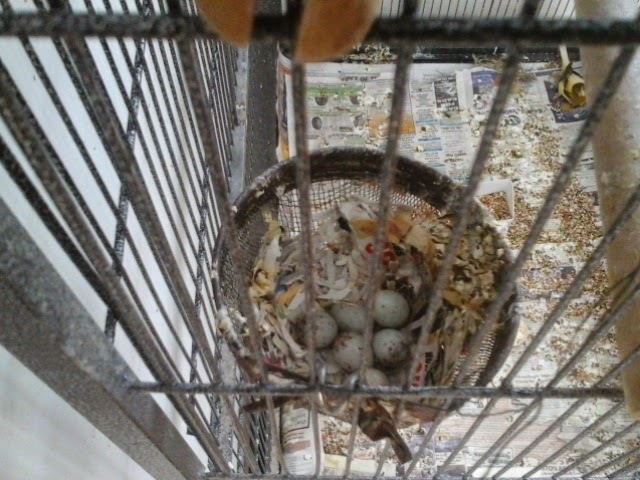 On an unrelated note, mama canary is sitting on six eggs. Arent they cute? They are about the size of jelly beans. Maybe it isnt unrelated. Perhaps she is hoping for early spring too!